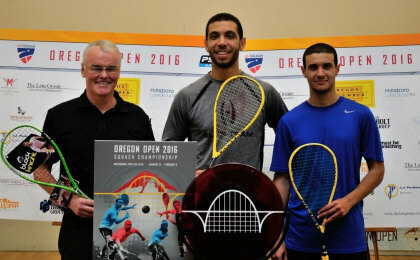 The were was great expectation for the all-Egyptian final between Omar Abdel Meguid and Karim Ali Fathi at the Multnomah Athletic Club. Throughout this week these players had demonstrated why they were the two top seeds of the tournament. Omar possesses a powerful physique with a lethal combination of delicate touches in the front area of the court. On the other hand, Karim is extremely agile and builds points beautifully before going for his attacks. It was a great match-up of power vs resistance that kept the Portland crowd gasping in disbelief for the precision and athleticism of these players in this great final. 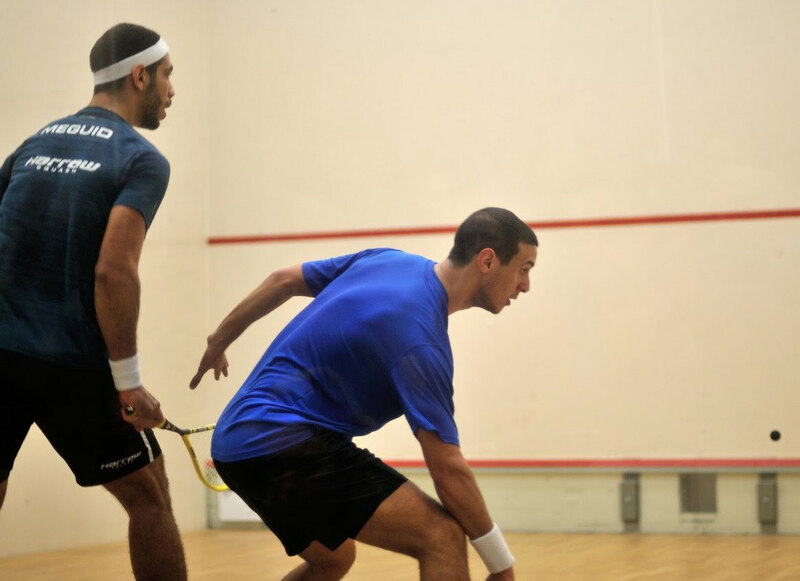 In the first game, Karim started playing very tight rails and was able to establish a quick lead at 5-0. He was making sure to go around Omar in order to keep continuous rallies. Omar was not able to find his rhythm in this first game and reserved energy for what was to come. Karim took the first blood 11-3. But the pressure of being one love down gave Omar the focus he needed. He has the ability to hit an extra gear whenever he finds himself in difficult situations. Omar was stepping up in every rally and volleying more and more. The powerful attacks were able to break the movement of Karim and Omar took the game 11-5. At one all, everyone in the crowd was wondering if Karim's resistance or Omar's finesse would prevail. The rallies were incredibly disputed and for the first time in the tournament the relaxed attitude of Karim seemed to go into lapses of tension. At 5-3 we saw the rally of the match in this game with both players reaching unbelievably difficult shots and attacking millimeters from the tin. But not surprisingly, as it is the case in some of the most disputed rallies in Squash, the magnificent rally ended in a let. Karim was able to put a lot of work into Omar's legs and he seemed to have the momentum in his favor by taking the third game 11-8. In the fourth game, Omar was again able to go into his characteristic second gear and started dominating the rallies. Omar's powerful physique contrasts his delicate touch but it creates a special effect that is difficult for his opponents to decipher. Even though Karim was still running for every shot Omar would found a way to finish most rallies to level the match at two-all. In the last game, both players decided to start hitting the ball even harder and running for everything, clearly pushing themselves to the limit. It was very close all the way to five-all until Omar found some magical touches and was able to create a lead to take the match at 11-7. 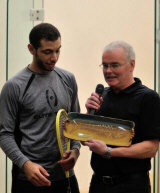 The avid Squash fans received the new champion with raucous applause. 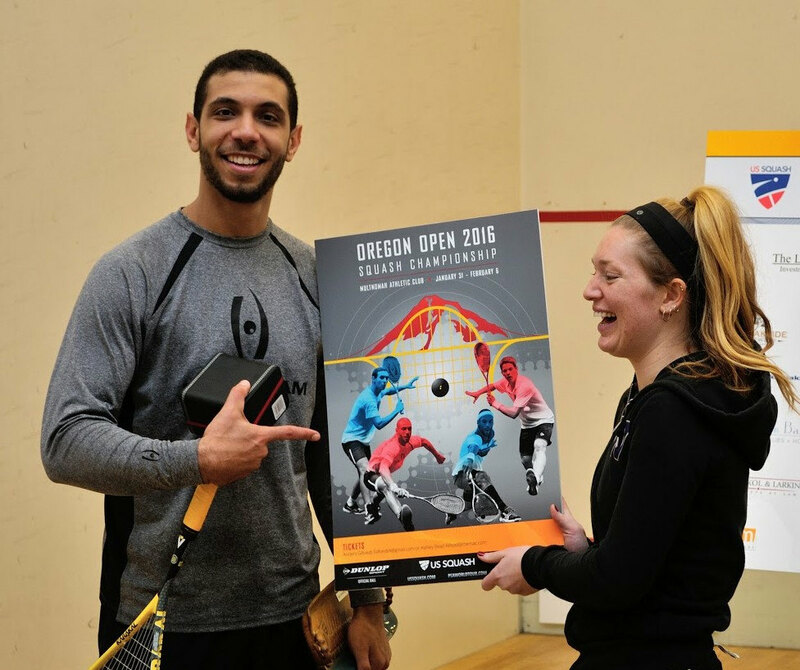 In his third final in the Oregon Open, Omar was finally able to take the title. He is very popular in the Oregon circles and he graciously returned the compliment to his fans. When asked what he liked the most about Portland without hesitation he responded "the crowd". 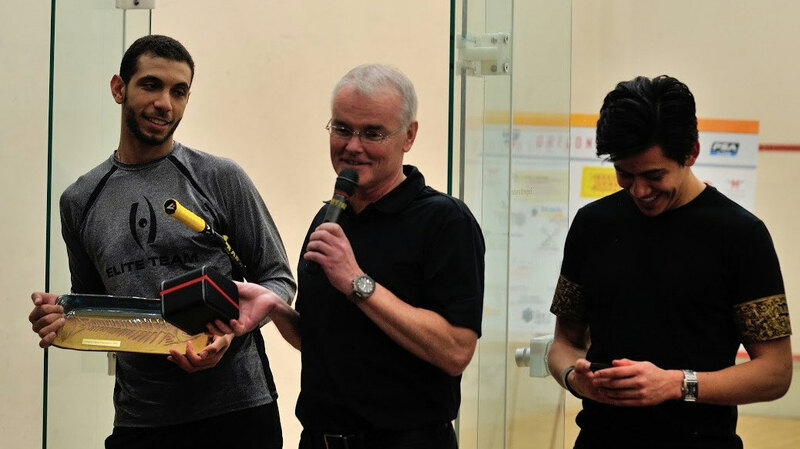 It was an incredible week of Squash in the Pacific North West and Squash enthusiasts were treated to a great final by these Egyptian Squash magicians. An all-Egyptian final was set in Portland as top seeds Omar Abdel Meguid and Karim Ali Fathi both came from a game down to win their semi-finals. Meguid was able to win against the fit German Raphael Kandra. This match was 75 minutes of intense Squash but also some very contentious decisions. Julian Illingworth, the ref of the match, was definitely relieved once the match was over. 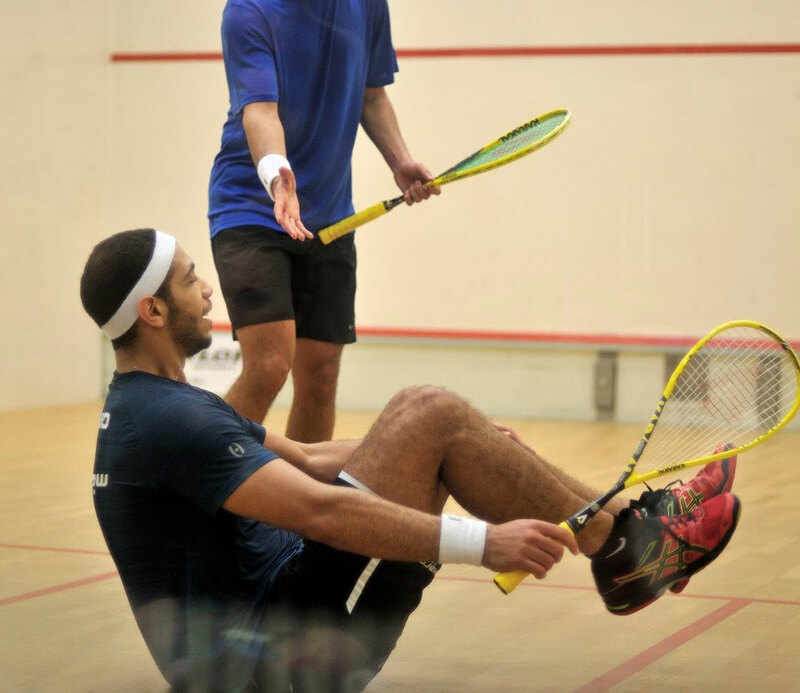 The towering Egyptian has great ball control and imposes himself on the T.
Even without trying, his physicality is something that his opponents have to be aware of. Raphael Kandra was perhaps too focused on his opponents movement and at times seemed to lose his focus. Even though the match was choppy at points, the Portland crowd was entertained with amazing shots, athletic. 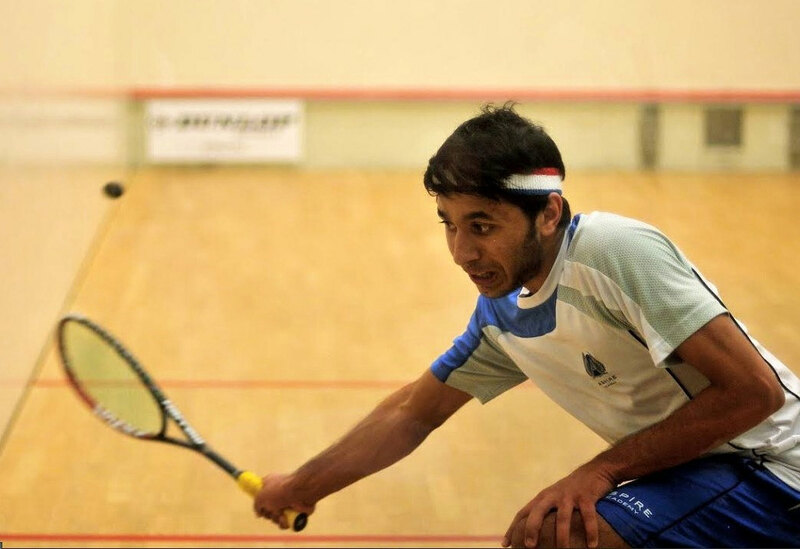 In the second semifinal Fathi was able to contain the relentless attacks of Vikram Malhotra. The former Trinity number one was able to once again surprise the higher seed in the first game but this time it was Karim Ali Fathi who had all the answers and was able to advance to the final. The Portland crowd was once again treated to a superb night of Squash, as the top three seeds were joined by a qualifier in the semi-finals. The first match of the night was a five-game battle between Raphael Kandra vs Abdullah Mohd Al Tamini. The Qatari started and won the first game furiously, attacking with vicious angles and precise length. But Kandra responded with preternatural poise and composure, hardly a tin to his name for the rest of the athletic encounter. The match was an exhibition in momentum, with Abdullah rattling off a series of points only to be stymied by a run from Kandra until it was over after minutes 75 minutes for a win for the German. 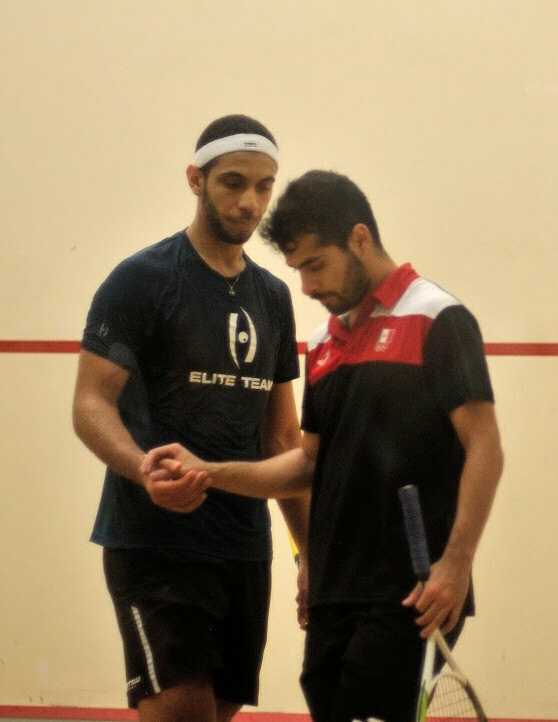 In the second match of the night Omar Abdel Meguid, the number one seed of the tournament, seemed to struggle to find the balance in his game in the first part of the match. Even though Meguid won the first game, Salazar was able to get him him moving in the wrong direction several times and was able to clinch the second game. But Meguid seemed to hit second gear on the third game and at 9-0 up it seemed like a bagel was in the horizon. Salazar was able to score a point but ultimately lost that game and the match after 50 minutes. 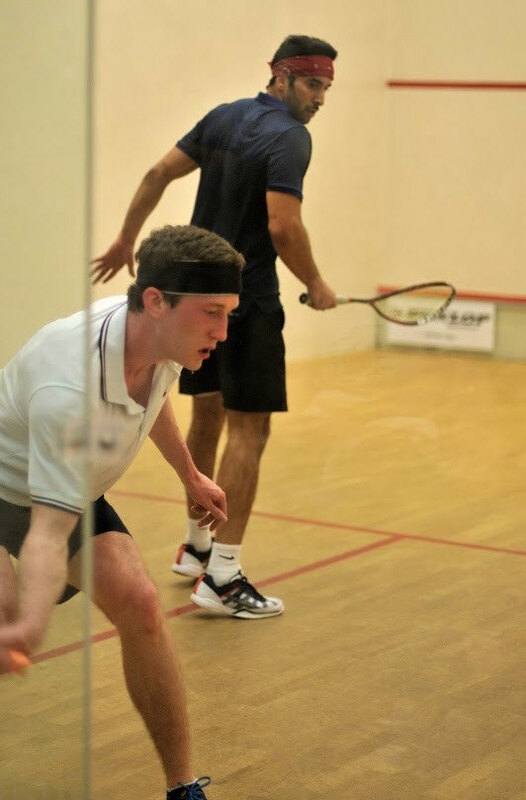 In the third match there was a lot of history between Trinity's Vikram Malhotra '12 and Princeton's Todd Harrity '13. 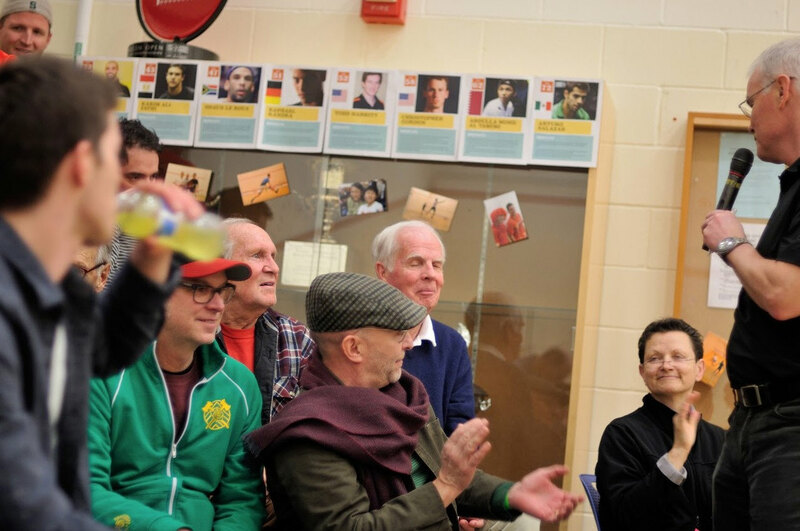 They both had played several times in intercollegiate encounters and there were several Trinity and Princeton alumni in the crowd anxious to see this match. Vikram has been playing and incredibly effective and attacking style of squash. And tonight he used that same formula against Todd. The Princeton alumni struggled to find his usual precise and errorless Squash. Vikram took full advantage of it and after 48 minutes was able to get another win against his Princeton nemesis. The last match was one of youth vs experience. Eric Galvez is a 6-time Mexican National champion and has won gold in the Pan-American games. His ball control is sublime but tonight Karim Ali Fathi was able to expose his movement. The three games were very similar with both players exchanging knicks and elaborate movements across the court. But in all of them Karim Ali Fathi had an extra bit of energy enough to close the match in three straight games. After a rest day the action resumed at the Multnomah Athletic Club. The Portland crowd was anxious to see the top seeds play and they were not disappointed. 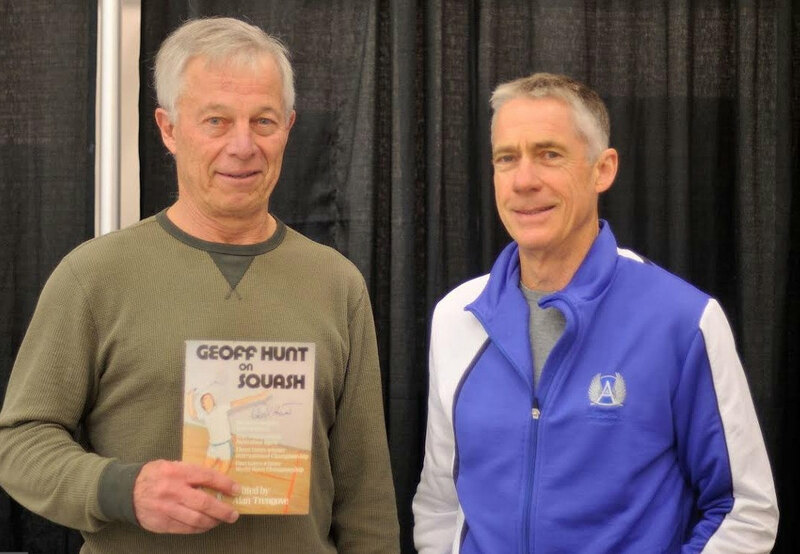 The Squash fanatics in the American North West were treated to a great of display of skill and athleticism by some of the best squash players in the world. In the first day of the main draw we saw most of the top seeds impose their status and game style against their opponents. 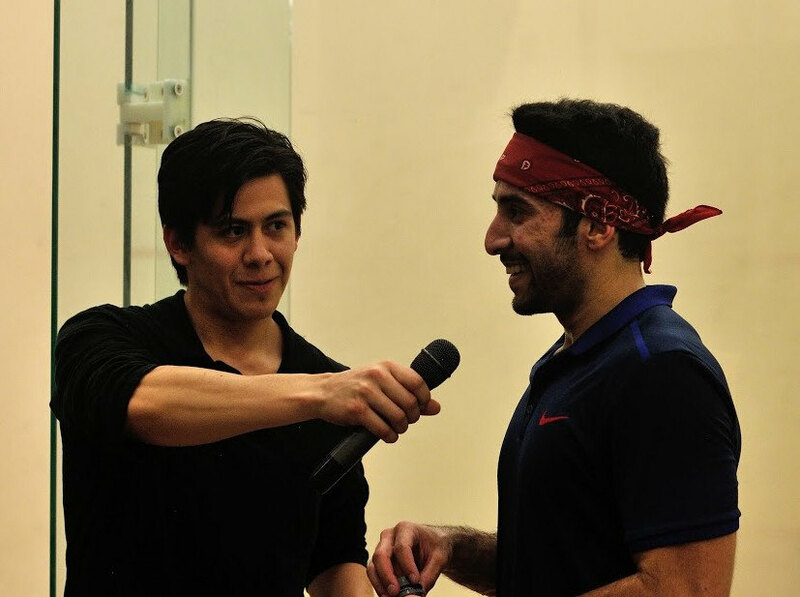 The Mexican player Arturo Salazar controlled his match with metronomic precision against American Wildcard Sam Gould with a three to zero win. 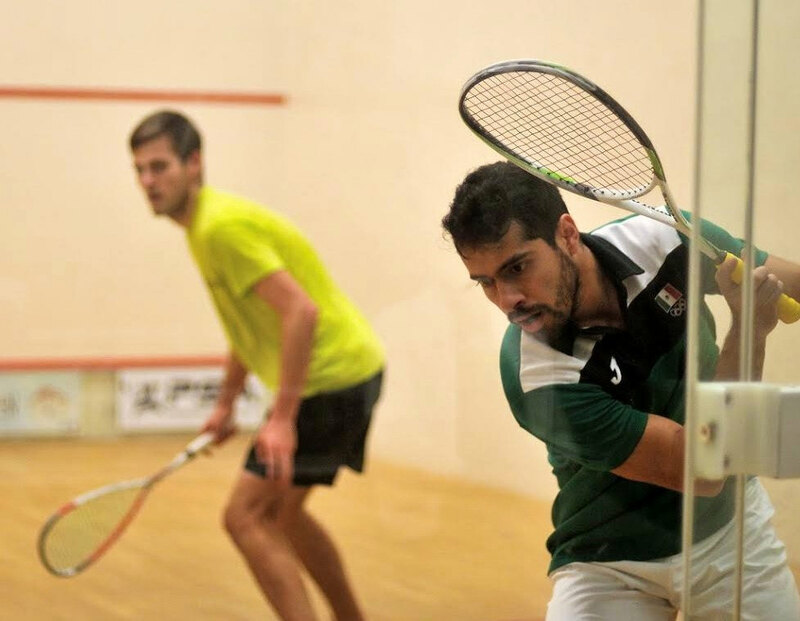 He will be facing Omar Abdel Meguid who, in a similar manner, imposed his mix of power and finesse against Adeen Idrakie to advance comfortably into the quarterfinals round. 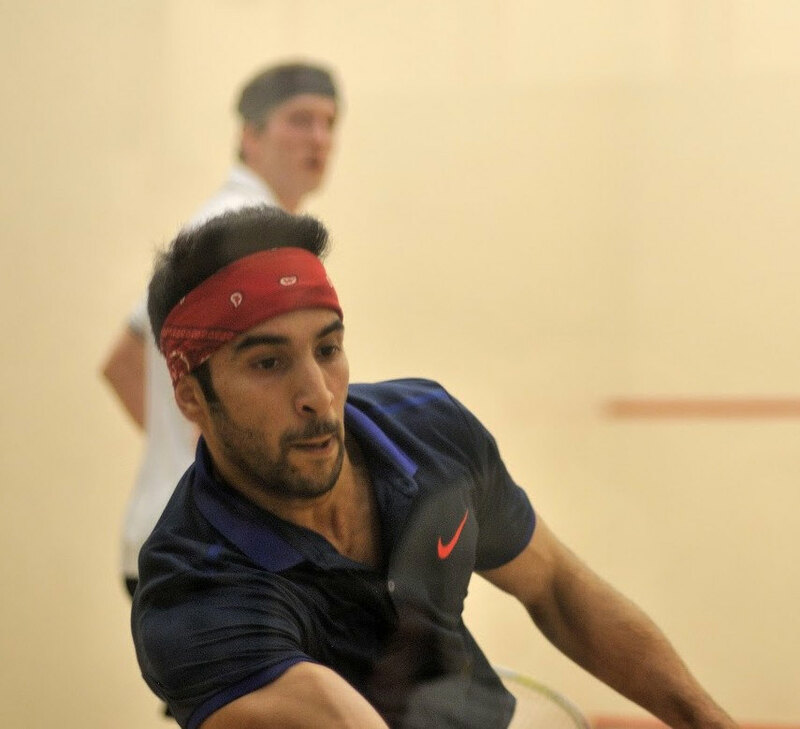 Abdullah Al Tamini, coached by the Squash Legend Geoff Hunt, also had too much variety in his attack shots against Joe Chapman and won his match in three straight games. Raphael Kandra, who is currently in great form after his win in Calgary, faced considerable opposition from Shahjahan Khan. All of the games were very well contested, with amazing gets from both players and precise shots to all four corners. Nonetheless, the German's experience made a big difference in the important points and he was able to win three sets to zero. Vikram Malhotra pulled the biggest upset of the night by defeating Christopher Gordon in a five-game battle. The former Trinity number one player had showed great form in the qualifiers and he continued with his aggressive style of play and powerful pace. Gordon is a veteran in the PSA tour and was able to establish a lead of two games to one in the beginning. 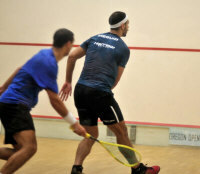 Nonetheless, Malhotra pushed himself and was able to create a fantastic comeback to win the match in five games. He is definitely the dark horse of the tournament. He will relive some of his college years when he plays tomorrow against his former Princeton nemesis Todd Harrity. Harrity looked very focused during his match against Valentino Bong and seems to be ready to keep improving his ranking by obtaining a good result at the Oregon Open. 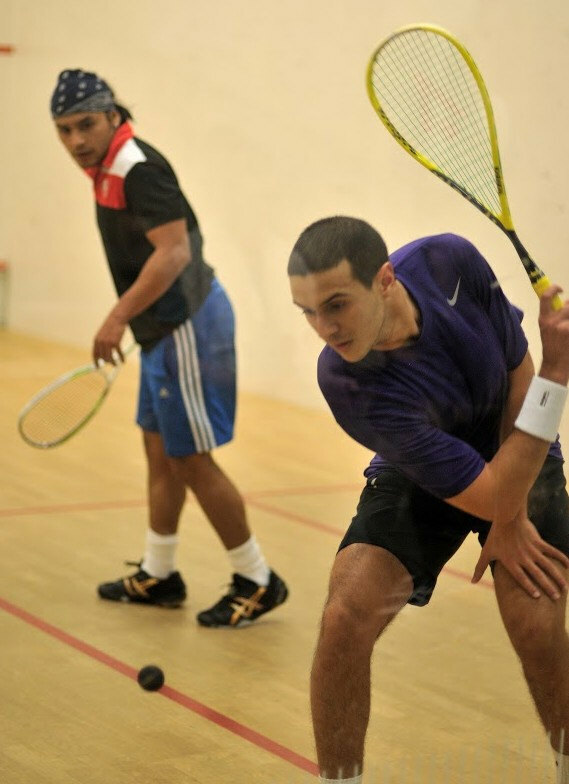 To finalize the night we had Karim Ali Fathi win his match against 9-time US National Champion Julian Illingworth. Illingworth seemed to still be recovering from his qualifying matches but gave it a good push in front of his local crowd. But Ali Fathi was just too precise in his attacks and was able to make it to the next round in only twenty five minutes. He will be facing the quick and stocky Mexican player Eric Galvez who dominated his match against Matias Tuomi with excellent low kills and a high pace in three straight games. 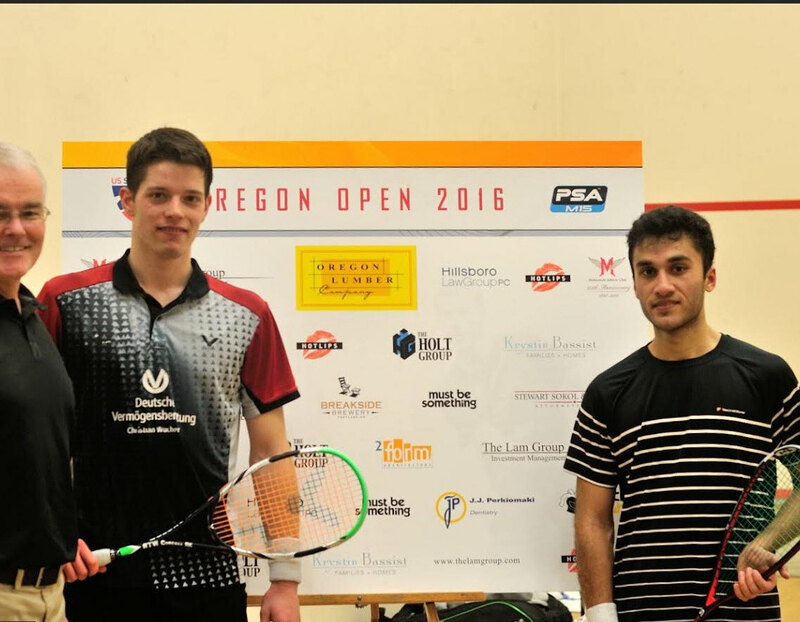 Tomorrow we will have some very interesting match-ups in the quarters and it promises to be an exhilarating night of Squash at the Oregon Open 2016. Qualification day two is over and the qualifiers that will participate in the main draw have been decided. Since Shaun Le Roux had to pull out form the tournament due to the injury he sustained in Calgary we had a lucky loser that was also able to make it to the main draw. In the first match of the night we saw Vikram Malhotra follow up on his great form from last night. He is playing a very aggressive and attacking style of Squash and will definitely be a dangerous opponent in the main draw. He defeated Ismail Hafez in three straight games and will be fairly fresh for his match tomorrow. The second match was a more closely contested battle. It was a match of experience vs youth. Both players had a fairly similar style moving efficiently on court and making minimal errors. But on this occasion it was the experience of the Finish player Matias Tuomi who prevailed. 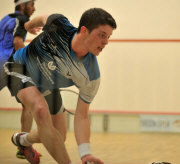 He was able to secure his place in the draw by beating the Irishman Sean Conroy three games to one. The third match of the night was between local star Julian Illingworth against Valentino Bong. Even though Julian has been focusing more on his duties as a coach and as a new dad lately he still possesses the ball control of a former top 25 in the world. In the first two games both players exchanged quick-fire attacks. After two games it seemed that the match would continue to be closely contested but errors started creeping into Julian's game. 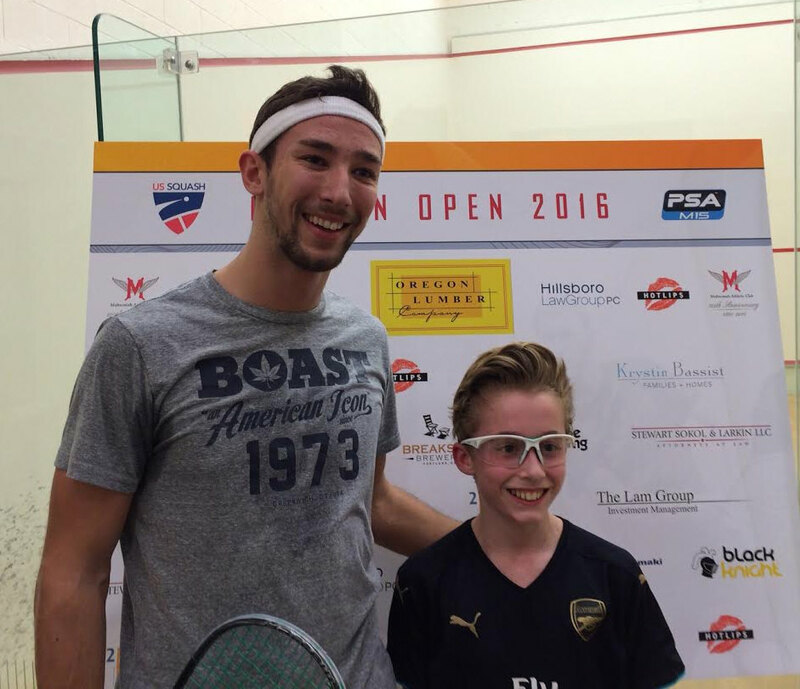 After fifty minutes of attacking Squash, the stylish Malaysian player was able get a three to one win over Portland's best Squash player. 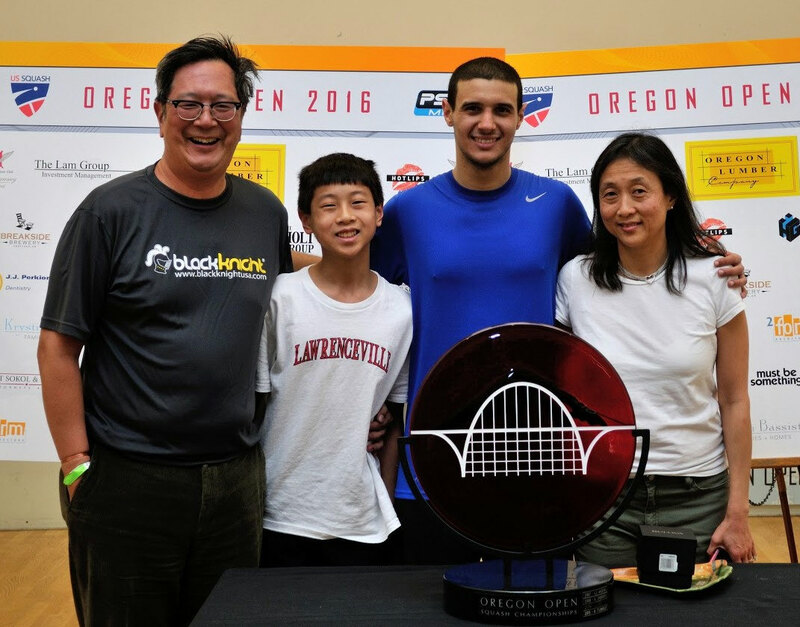 The final match was perhaps on of the longest matches in the Oregon Open's history. In the first two games Charlie Johnson was on fire and completely controlled the 'T' with superb attacking shots. But there seemed to be a turning point in the third game when the English player broke his strings and didn't seem to move the ball around the court as well as he was doing in the first two games. The always serene looking Adreen Idrakie started prolonging rallies and was barely making any errors. The fourth game proved to be crucial as Adeen was able to edge it sixteen to fourteen and looking the fresher of the two. In the fifth game Charlie was able to level the match at seven all but Adeen had a little bit extra energy left to take the last points of the match after one hundred and twenty four minutes! It was a busy Sunday at the Multnomah Athletic Club with very exciting matches in the qualification draw. The players are starting to ease into the Squash Oregon Open and we are starting to see who will be the real contenders for the main draw. The day started with Jullian Illingworth imposing his experience and finesse against local qualifier Will Gruner. Although the former Williams player tried his best it was not enough to stop Julian's precise attacks and the match ended 3-0 with Julian always looking as the likely winner. I the second match of the day, we saw Valentino Bong control his match against up-and-coming American player Nicolas Talbot. 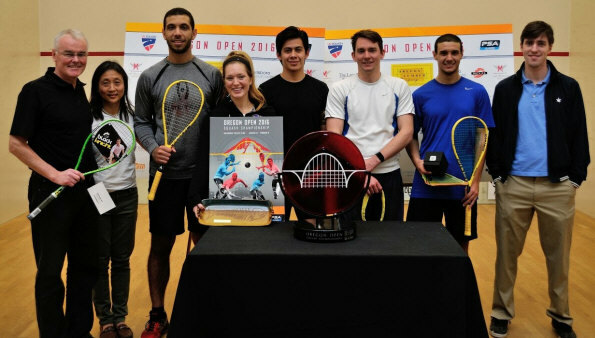 There is a strong Malaysian contingent this year in Portland as we also saw Adeen Idrakie win a furious five-setter against 18-year old Yehia Essam. This was probably one of the best matches of the evening in which the focus and serenity of Adeen allowed him to edge the final points of the match. Another highlight of the evening was the match between Vikram Malhotra and Sunny Seth. Vikram impressed the Portland crowd with his powerful pace and sophisticated attacks. Vikram clearly still carries all the experience he gained from playing number one at Trinity College. He was able to defeat Sunny Seth in three straight-games and will have to defeat Faraz Khan if he wants to make it through the main draw. And perhaps the most endearing match of the evening was the match between England's Charlie Johnson vs 13 year old Portland-native Alec Spiro (. Even though it was clear that Charlie would win the match, he was very gracious and showed young Alec some of his most elaborate trick shots. 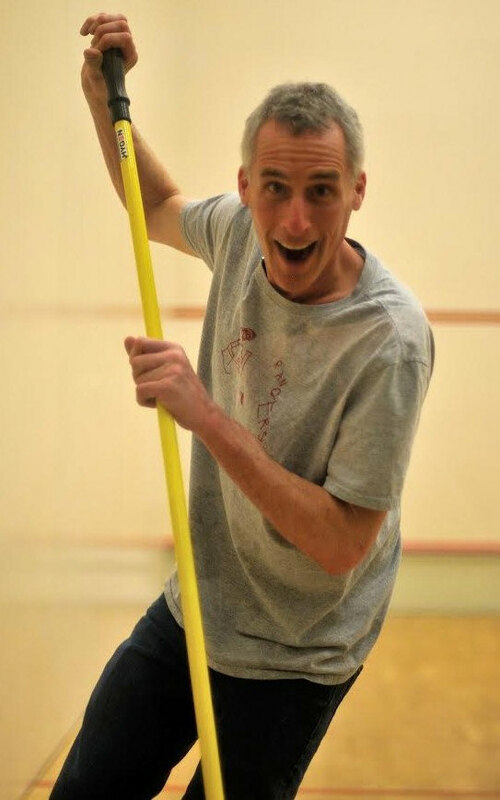 Alec is well known for chasing every ball, which he did in this match very much to the crowd's delight, and perhaps in a couple of years he will be ready to take the PSA tour in full force. You can start feeling the energy levels raising in Portland for the Oregon Open 2016. All the Squash enthusiasts in the Pacific Northwest are excited to be part of an exciting week of world-class Squash. The Multnomah Athletic Club, on of the biggest and most prestigious clubs in the US, will be hosting the event with players coming from all over the world. In the qualifying rounds there will be special interest in Portland-based players Will Gruner, Julian Illingworth, and Mauricio Sánchez de la Paz. 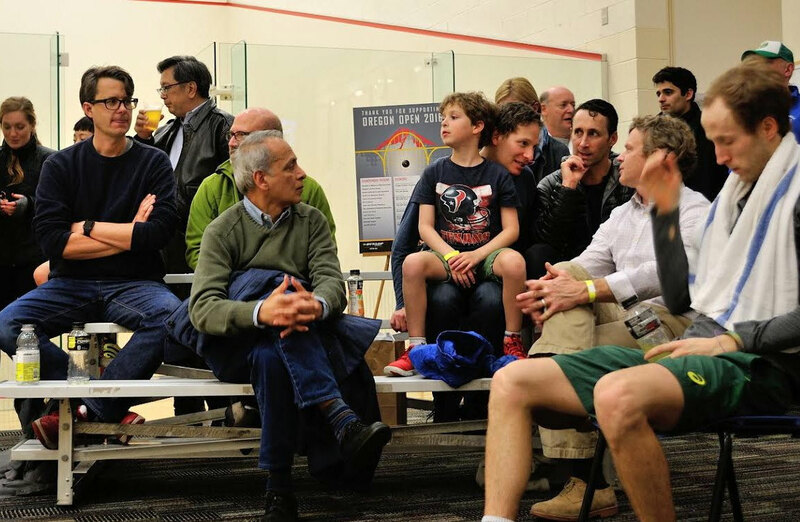 With Julian Illingworth, the most successful player in US Squash history, having the most realistic chances of making it through to the main draw. In the first-round the attention will center around American standout players Todd Harrity and Chris Gordon. 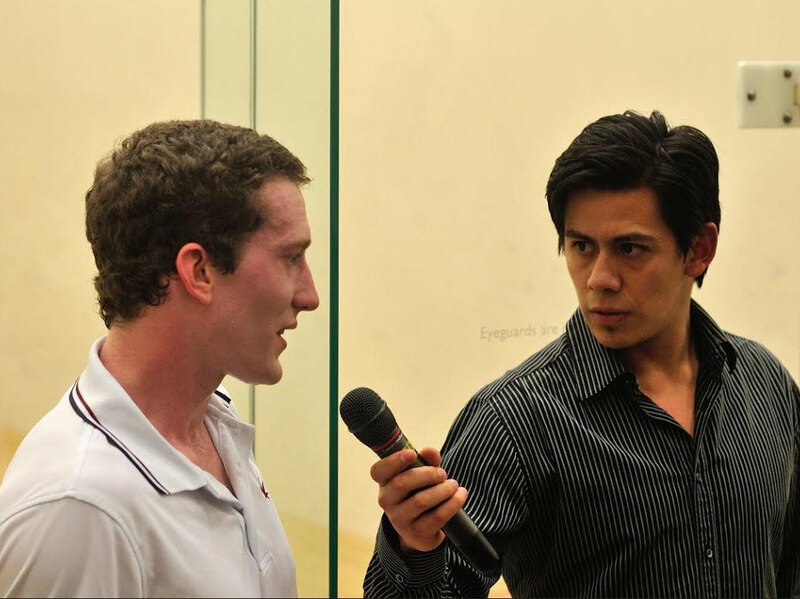 Todd Harrity graduated from Princeton University in 2013 and has had a meteoric rise in the Squash scene ever since. The US Squash community is very excited about his continuous progress. On the other hand, Chris Gordon is a veteran in the professional tour and will attempt to impose his precise game against stiff international competition. The favorites to win the Oregon Open 2016 are Omar Abdel Meguid and Karim Ali Fathi, seeded one and two respectively. With their electric Egyptian style of play they will attempt to hold back opposition from Germany's Raphael Kandra and South Africa's Shaun Le Roux. Omar Abel Meguid (WR 32) is currently ranked higher than Karim All Fathi (WR 43) but Karim Ali Fathi recently had a fantastic run during the World Open beating Peter Barker and Fares Dessouki. If they were to meet in the final, the Portland audience will certainly will be treated to a fierce and jaw-dropping final.